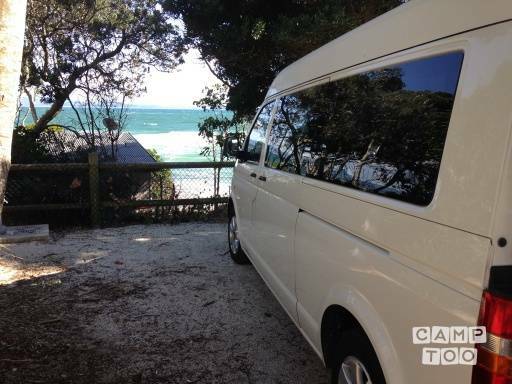 This 2006 Model Volkswagon Transporter T5 is perfect for festivals, surf trips, camping trips and outdoor adventures. Luxe Volkswagon van, easy to drive, fuel efficient, automatic, long wheelbase, mid-roof van with plenty of room inside, tinted windows for privacy. Accommodates two (the driver and the passenger). Gas cookers, table and chairs, camping and picnic needs. A fridge is available if needed. Inside the van is a queen bed with a real mattress, quality linen, goose down doona (duvet) and extra blanket. and mosquito net curtains. Beach and bath towels are provided.